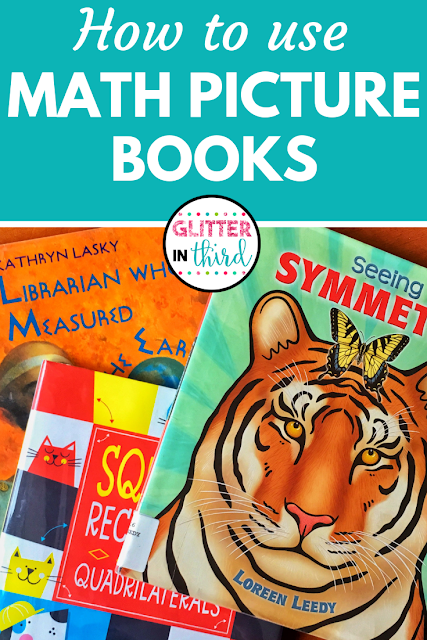 Have you used math picture books in the classroom? We often think of reading and math as the two BIG building blocks in elementary school. We work hard in reading all morning long, and then we work hard in math. But - why are these two subjects so vastly separated? Create a bridge between the two and integrate both math and reading seamlessly into one another by using math picture books. Some students like math, but many dislike it. I always have more students in my classroom that love to read over doing a math problem any day of the week. 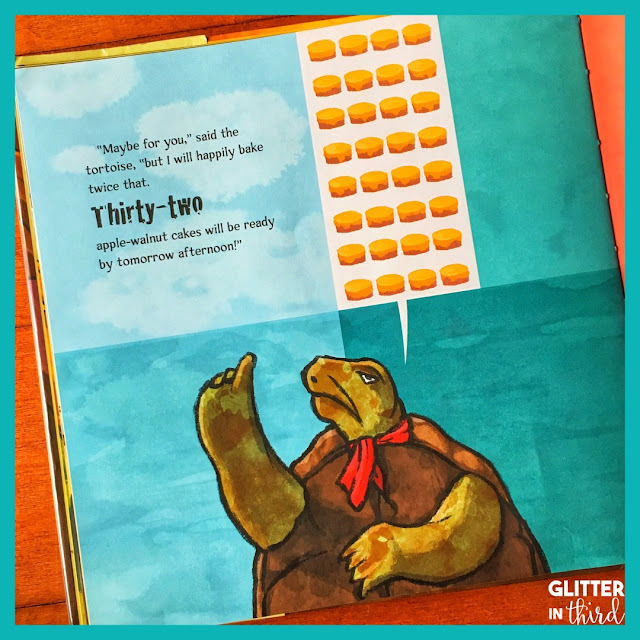 Bring instant engagement and a new understanding of math into the classroom by using math picture books! Draw those avid readers into math by incorporating literature into your explanation and discovery of mathematical concepts. 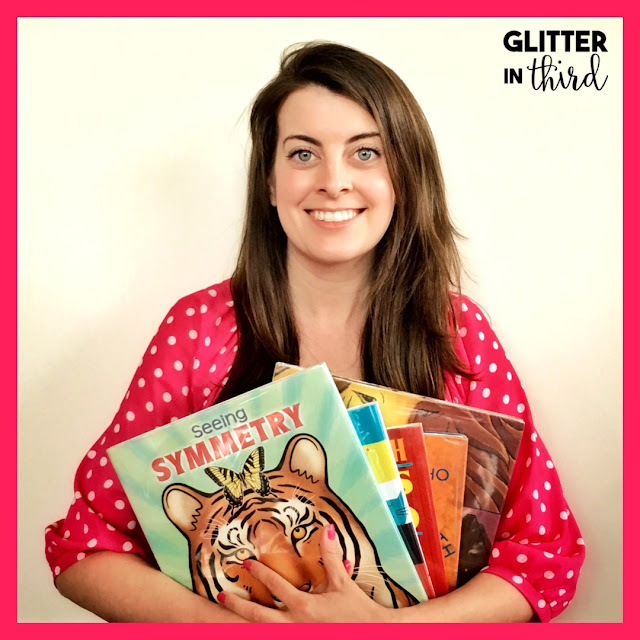 Below, I introduce math picture books and how you can easily implement them into your classroom. Plus, you can view an extensive list of math picture books that you can check out at your school library or purchase at a book store! 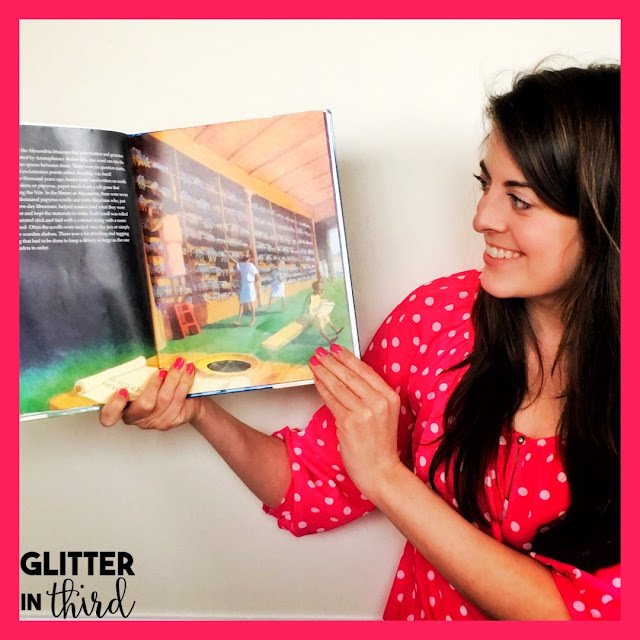 Why teach math with picture books? Do you have a student in your classroom that vocally "hates math?" Maybe more than one? Math picture books can make a world of difference for these students. Kids and adults enjoy stories. Math picture books are another way for students to approach and understand math, while getting enjoyment out of the story and connections with the character or plot. I find that real-life connections in math is NOT something that is innate in students (or adults!). We often can't recognize how or when we would use a specific skill or mathematical concept. Math often feels so segregated from our actual lives when students are huddled over a math journal practicing long division. Math picture books are a fantastic resource for students seeing math being used in the real world. Characters in the story often have a problem, and use math to solve that problem. 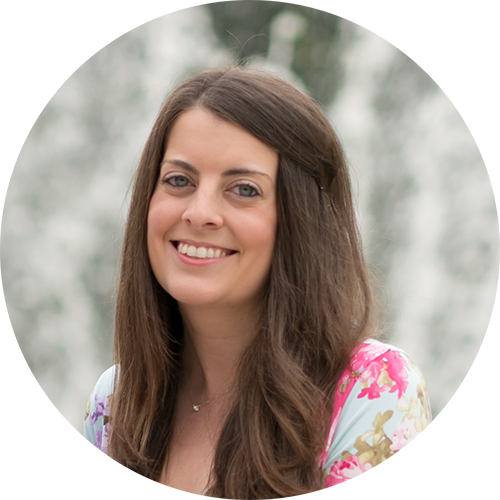 Reading about these characters often gives students an "a-ha!" moment regarding when they might run into a need to use math in the real world. Students will build their language and reading skills while learning math. They will need to use context clues to decipher new vocabulary. Drawing conclusions over information in the story. Making inferences based on their schema and background knowledge. Practicing reading strategy skills at the same time they are learning math? Priceless. Increase kids' literacy skills while building up their math foundation. 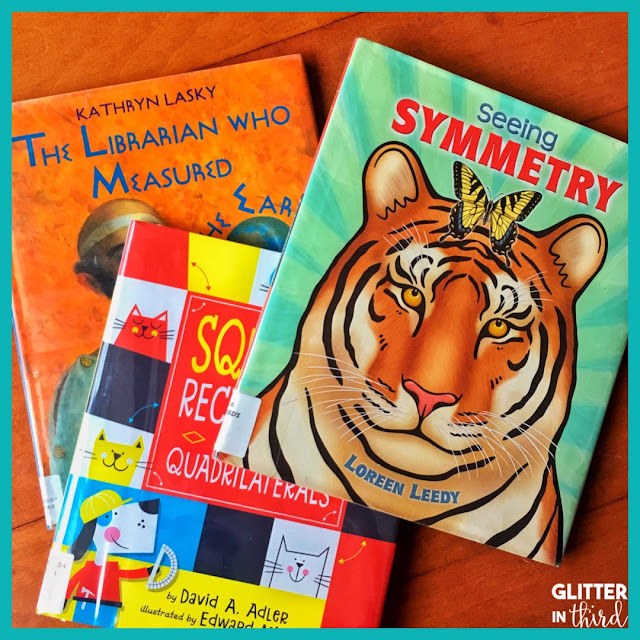 When during the day can I use math picture books? Not sure how to create an engaging lesson to introduce area/perimeter? Grappling with how on Earth to make subtraction exciting? Math picture books are SO GOOD for a new unit introduction. Read the book aloud, then ask students what they notice about the book. What happened in the book? What problems were the characters trying to solve? You will be surprised how many instant real-life connections that students will be able to recognize. Books stick in kids' brains more than doing problems in a math notebook, so throughout the unit you can reference parts in the story where the math concept was used. Are you using math centers in your classroom? In my classroom, I use a math station format. You can read all about it to learn more- click here! An easy math center that your students will love is to have a math literature center. Throw a few math picture books that you checked out from the school library into a basket, and you are good to go! Students can grab a book during the center to read. I personally love kids reading simply to enjoy reading, but if you prefer to have additional accountability with your group of kiddos, you could ask students to write a quick snippet on an index card or in their math journals regarding how the book relates to the concept that you're studying. What an easy and no-prep math center! YES, you can use math picture books in writing! Read a couple of math picture books as a read aloud, then have students create their own math picture books that demonstrate the concept that you are studying. This is a great way to integrate your curriculum and a multitude of subjects! What are some math picture books I can use? I created blog posts that center on each math subject to make it easier for you to view and plan upcoming lessons. Click on each link to read the blog post that goes into details on each! If you have not used math picture books in the classroom, here is your challenge. Pick one math picture book on this list and try it out. Then, leave me a comment letting me know how it went! 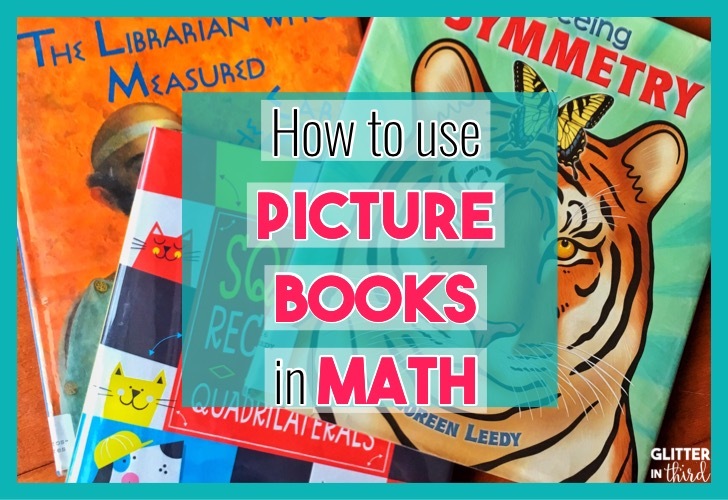 If you have used math picture books in the classroom, let me know how you use them and what your favorites are! Leave me a comment down below.